VersaBank President and CEO David Taylor in front of the VersaBank Innovation Centre of Excellence in London, Ontario. Photo submitted. People who collect cryptocurrencies typically do so to move away from traditional banking systems, but Versabank is welcoming them with open arms. “We’re a very unusual bank,” David Taylor, Versabank’s president and CEO told ITBusiness.ca, acknowledging the hesitation owners of cryptocurrency have towards storing their digital currency in a bank. But the London-based Versabank – a Canadian, branchless chartered bank – lives in the digital world, and its upcoming service, a safety-deposit box system called VersaVault, is completely digital as well. “The security that a digital bank brings might offset most folks’ aversion of dealing with ‘The bank,’” says Taylor. 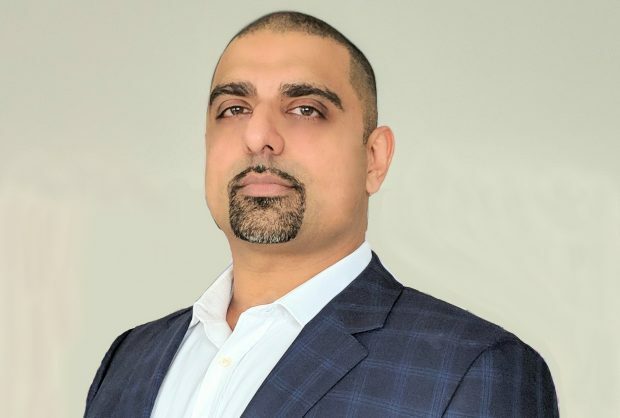 Versabank has hired former BlackBerry principal architect of cyber security Gurpreet Sahota as its own cyber security leader. A prototype of VersaVault, which Taylor says he hopes to see released by this spring, will use blockchain technology and let people withdraw and deposit, in addition to cryptocurrencies, all forms of digital items, such as contracts, wills and digital media. Gurpreet Sahota, Chief Architect of Cyber Security, at VersaBank, who was recently hired from Blackberry. Photo submitted. Most people use hot wallets, essentially a chequings account that is always connected to the internet, to store and spend their cryptocurrencies, says Sahota. But the safety deposit boxes will be scaled for security and availability, useful for people looking to hold on to larger amounts of cryptocurrencies over time. VersaVault will use an element of open source technology, but Sahota wasn’t able to specify further. The boxes will likely have a network of nodes facilitating transactions, he adds. “We’re still determining the level and extent of how we would implement those nodes in regards to our architecture,” he says. Coming from BlackBerry, a company that puts security at the forefront of all of its products, Sahota says he was stunned with the degree of emphasis Versabank placed on security. The digital boxes will have security measures in place that will make them impenetrable, even to the bank, says Taylor. He points to physical boxes that banks could drill into under extreme circumstances. “The bank won’t be able to open the box, no matter what,” he says. Taylor indicates he doesn’t know of any other bank that is using blockchain technology to develop digital safety deposit boxes. “The world has evolved to a point where this type of product, I think, will be very well accepted,” he says.